Erika Kleinman lives in Austin, Texas. 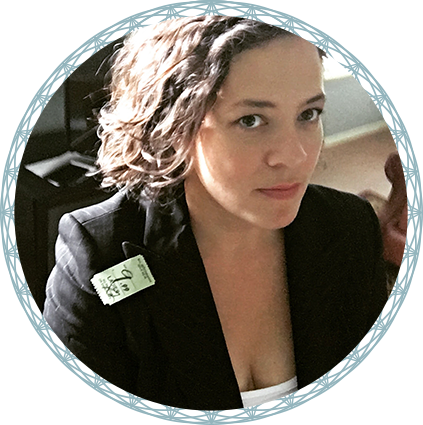 Her writing has been featured or is forthcoming in Hobart, Lenny Letter, Salon, Huffington Post, The Nervous Breakdown, Baltimore Review, The Apple Valley Review, The Rumpus, and more. Erika grew up in the suburb of Mountlake Terrace in Washington state, 15 miles north of Seattle, and became involved in queer activism shortly after coming out in her teens in the early 90’s. She moved to Austin, Texas in 2000, and earned her degree in speech language pathology from the University of Texas at Austin. She works with school-aged children and transgender voice clients. She is involved with efforts to facilitate racial healing in Austin, particularly in education. She has written a memoir about the fluid spectrum of queerness, intimacy, and the relationship between time and space as experienced through the martial art of Aikido. An excerpt can be found here. For interviews and bookings, email Erika at fraukleinman@gmail.com.